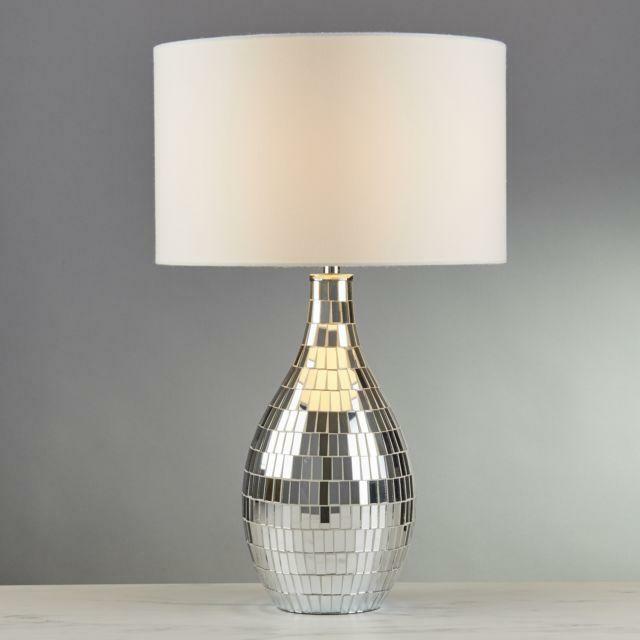 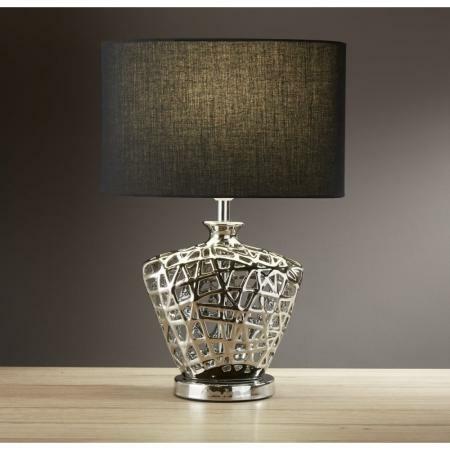 Turn heads with this uber stylish table lamp. 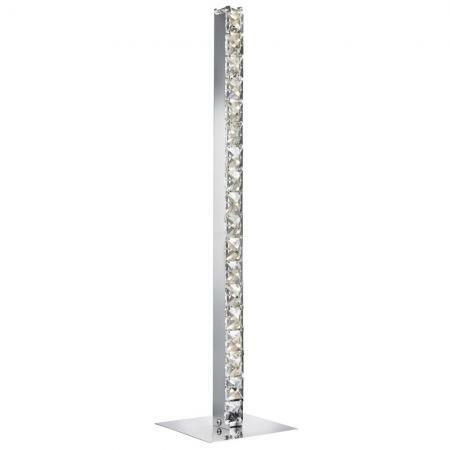 This item is adorned with a stunning mirrored tile base for a modern touch. 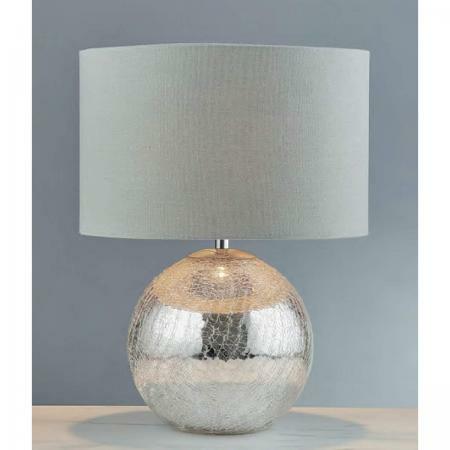 The decorative base is complimented with a simple white fabric shade. 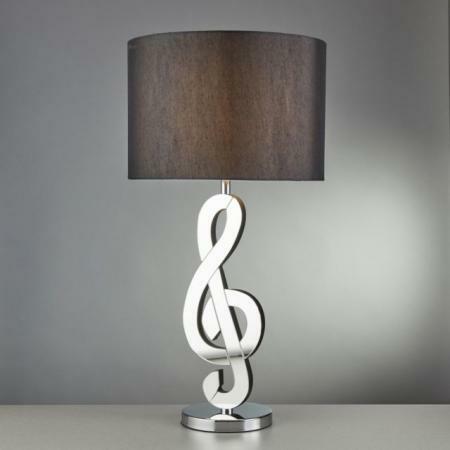 Place in a living room, bedroom or on a coffee table.